Skuttlebutt has it that it was STRONGLY suggested to the Squadron to take on the Skull & Bones in 1995 when VF-84 was dis-established . 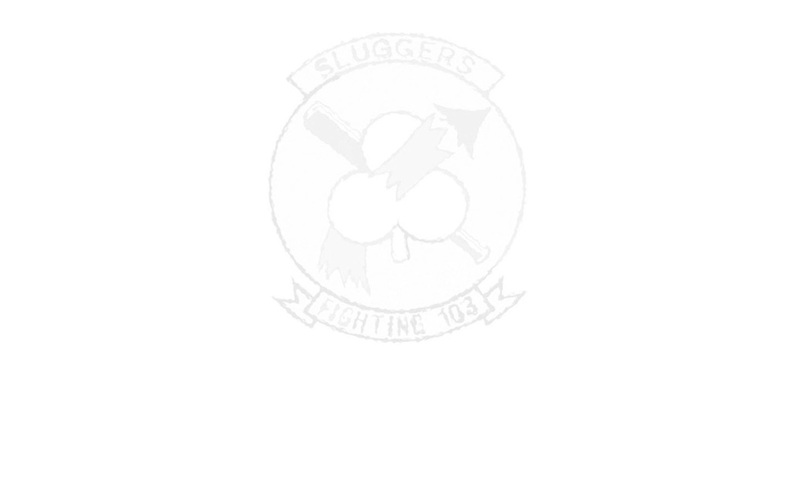 And so, a 43 year tradition of Slugger excellence was summarily tossed and VF-103 has since transitioned to the FA-18 aircraft and become VFA-103. All former Sluggers are encouraged to contribute photos or memories. E-mail us here .